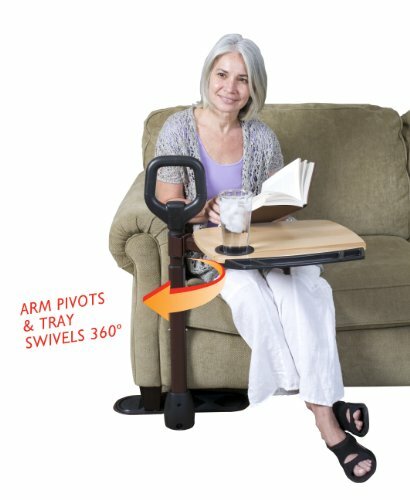 The Able Tray by Able Life is a couch-side handle that makes it easy to stand from your favorite couch or chair. It comes with a convenient multi-use swivel tray so you can eat, surf the web, or simply keep handy items close by. And like all of our products, it blends in with your living-room like another piece of furniture so you can maintain the comforting feeling of your home. 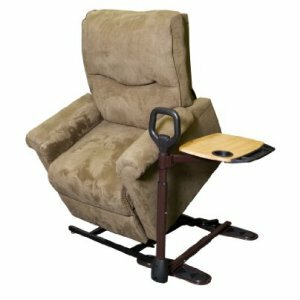 Some people say that a good recliner is like a fine wine – it only gets better with age! 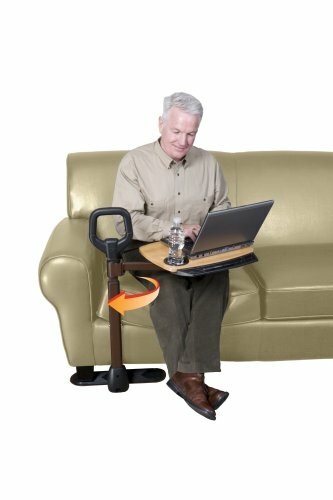 With the Able Tray by Able life, you don’t need to get rid of your favorite chair or couch just because of a decrease in mobility. 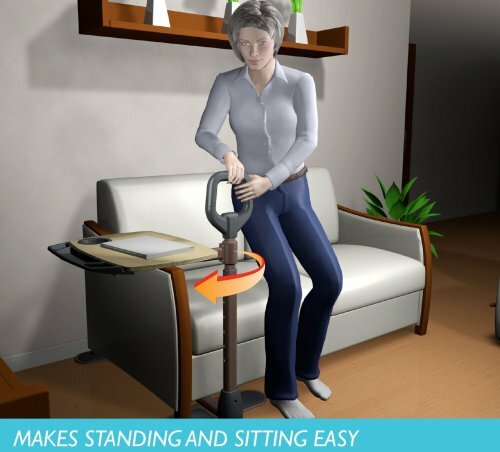 By using the Able Tray, you can keep your favorite couch or chair and have the help you need to sit or stand. Buy your products from Able Life with confidence. Your satisfaction is our priority. All of our products have a lifetime guarantee to put your mind at ease. Please don’t hesitate to call if you if you ever have questions about your Able Tray or any other Able Life product. 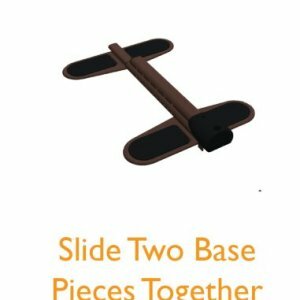 The Able Tray is a simple tool that provides an unmatched value. 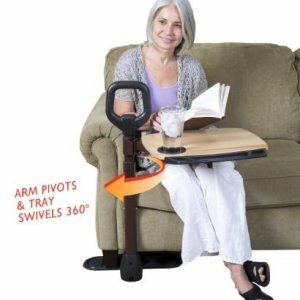 Its the only upright handle on the market that gives you the support you need while getting in or out of your favorite couch or chair. 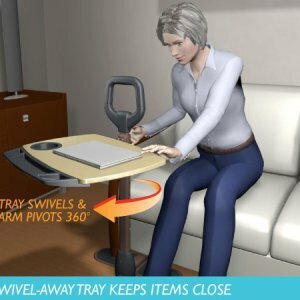 Your Able Tray comes with a 16 inches x 18 inches wood table tray to place a laptop, evening meal, or reading material. 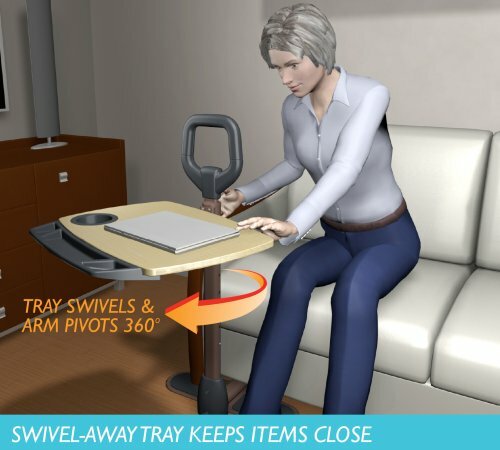 The tray rotates with swivels 360 degrees so that it can easily be moved out of the way when not in use. 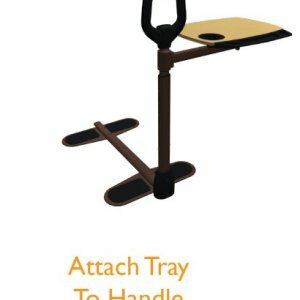 Your Able Tray is built to last. 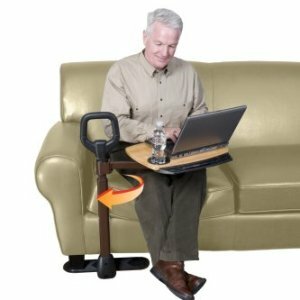 The upright support handle will support up to 250 pounds. 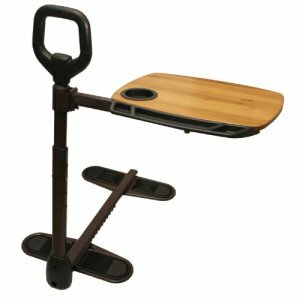 The swivel tray will support up to 30 pounds. 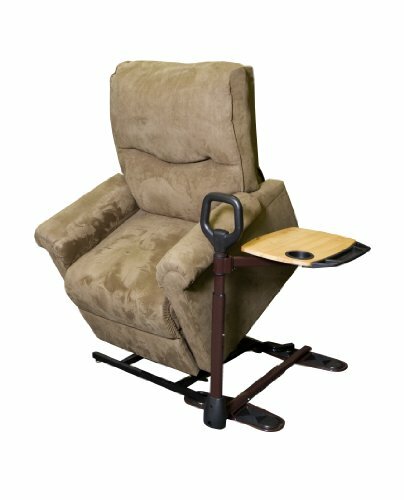 Lift chairs are a great tool to help people sit or stand, but the forward motion can often times cause people to lose their balance. 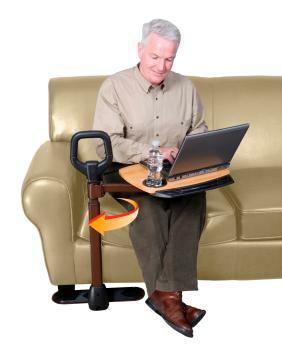 Your Able Tray can be used in conjunction with your lift chair to help you maintain your balance as you sit or stand. Adjustable in Height and Depth. 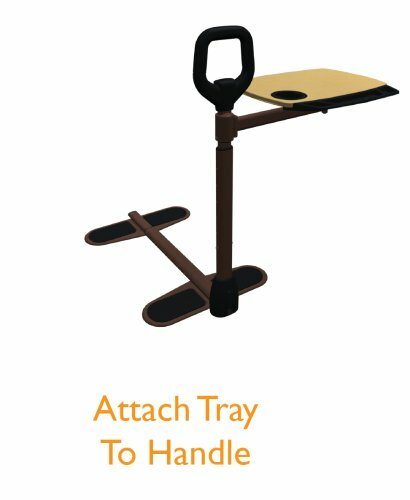 Your Able Tray can be adjusted to fit your needs. 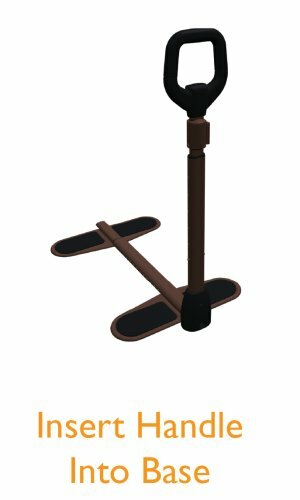 The handle and table tray can be adjusted to three different height settings. 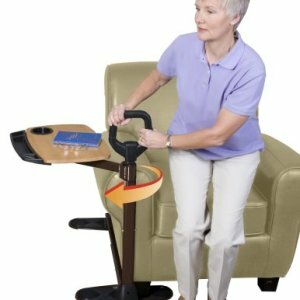 The support handle can be adjusted from 34 inches to 40 inches in height, which would adjust the table tray height from 26 inches to 32 inches. 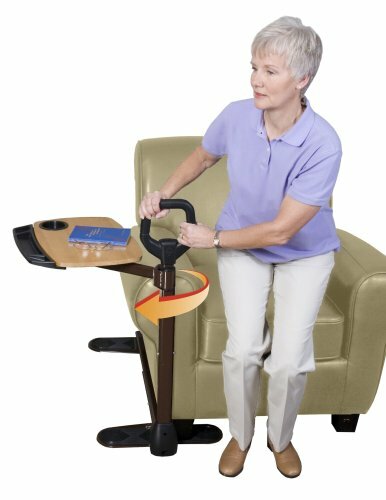 The base of your Able Tray can be adjusted from 20 inches – 36 inches to fit a wide range of couches or chairs. 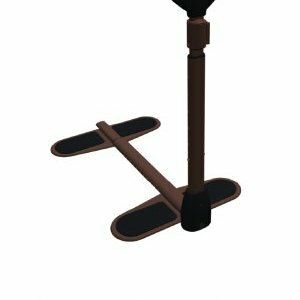 The Able Tray base feet are only 3/8 inches thick and will not effect the way your couch or chair sits. Assembly and installation are simple. 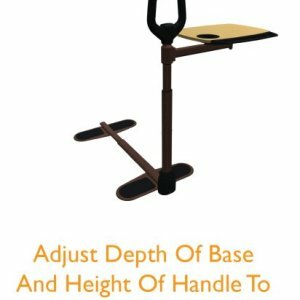 Once unpacked, simply pull the vertical member upright and secure with provided hardware, Adjust handle height and base depth, then attached the tray with provided hardware. 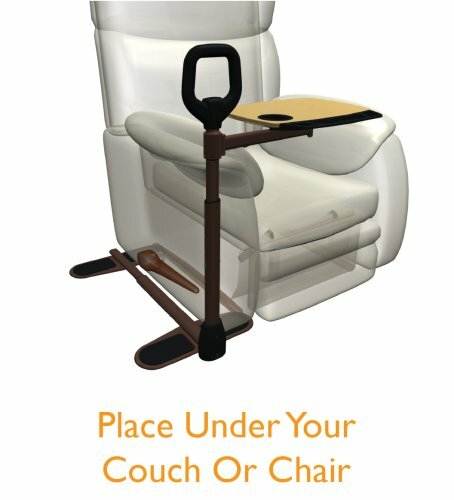 To install, place the Able Tray base feet under the legs of your couch or chair. 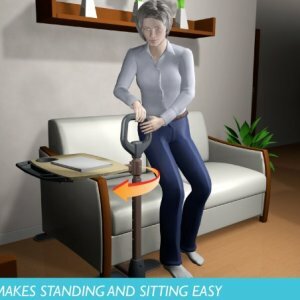 It can be installed on either side and can be placed to the side or in front of your couch or chair. 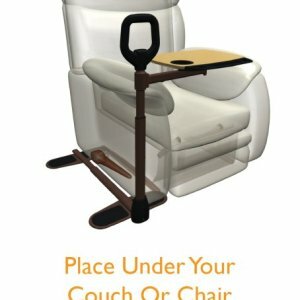 The weight of your couch or chair will hold it in place. 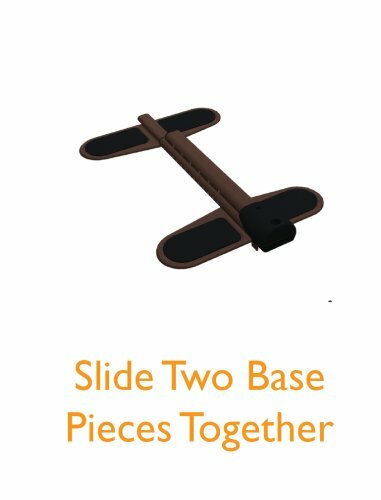 If you have any questions about assembly or installation of your Able Tray, please call us and we can help you step by step.